Although Chattanooga garners millions of tourists yearly for its historic Walnut Street Bridge, various Tennessee River water activities, beautiful hiking trails and numerous other local hotspots, Chattanooga’s best-kept secret is Mainx24. In a recent PRSA meeting, intellectual property lawyer Autumn Witt Boyd of The Law Office of Autumn Witt Boyd PLLC presented an interactive talk on how communicators and creatives can stay out of the legal hot water, including best practices for creating and maintaining websites. “No matter where you are located, it's possible you are collecting data from an EU resident; this is where GDPR comes in,” says Boyd. Read on for our summary of the informative talk on GDPR and why it does matter to American businesses! Although many publications and experts put forth advice on how to create content for and increase visibility and engagement on social media, few talk about the best practices for starting a company account. Have no fear! We’ve rounded up the basic ABC’s of creating corporate social media accounts. 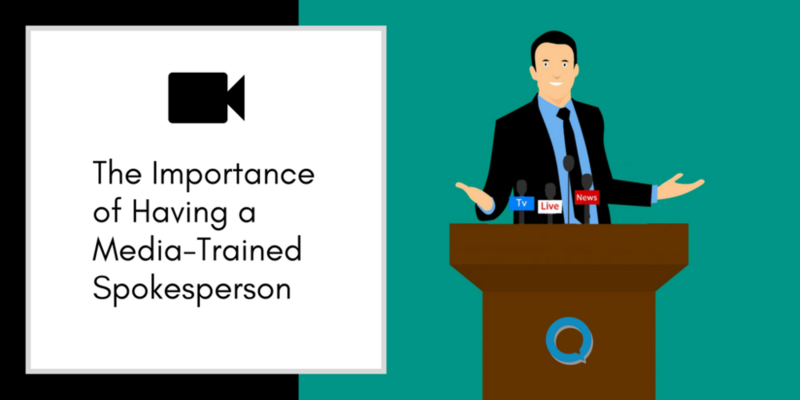 Investing in a media-trained spokesperson is one of the best things you can do for your business. No ifs or buts. After all, 59 percent of surveyed business decision makers said they’ve experienced a crisis in their current or previous company according to a crisis preparedness study conducted by global communications agency Burson-Marsteller. Over half! Looking back through the last couple of decades, especially at the growth of the Internet and social media, can you really say you are surprised?